I once met a couple whose dog would patrol the front porch of an evening, very much like on sentry duty. If he saw anyone pass the house, he would start to bark furiously, sometimes for half an hour, long after the perceived threat had gone from in front of the property. Thirty minutes is quite an achievement, and I initially asked if the thing it was barking at may have been still there, but they said no. It was only after a little more probing that I got the answer. The dog would stop barking after the wife lost her voice. 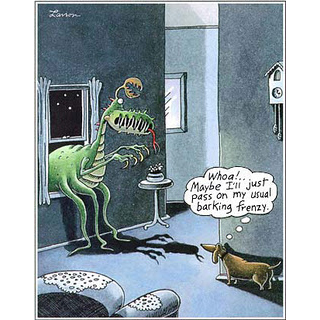 We have all heard this; a dog barks, followed quickly by “Shut Up!” being screamed at the dog. 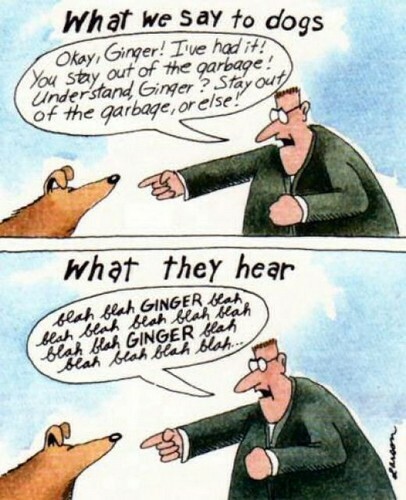 The owner wants the dog to stop, in most cases, so it does not be known as a noise polluter. It can be irritating at the least and highly stressful at the most. I have been in homes with owners on tenterhooks, just waiting for the next barking episode. There is no peace, even in the peace. If we start shouting at the dog, the message we give is that this is a problem, that we are upset about it, and that we will JOIN IN defending the family. 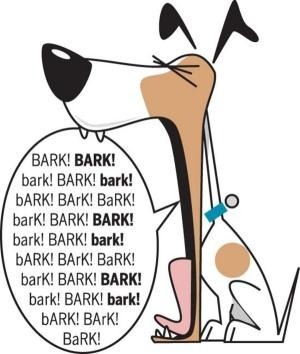 Rather than stopping a dog from barking, it actually encourages it further. Some people have even been tricked into buying electric shock collars to stop this problem. The main flaw in this is that the pain caused by the collar may stop the dog from physically barking, but the dog still feels responsible for defending the family, only now it can’t do that properly. Result: more stress for the dog. I have even heard first-hand by owners who have been attacked by the dog when they try to press the activation button, and one owner found his dog writhing in agony in the garden because the collar had short-circuited.